The current Envato affiliate program already closed on Monday 1st October 2018. But don’t worry about that, Envato already launched their new affiliate program. The program will now be powered by Impact Radius (IR) and includes many features you have been asking for. So if you already have an old affiliate account on Envato / Themeforest, then it will not work anymore until connecting it on your new affiliate program (Impact Radius). In this article, we are going to show you, How to apply for the new affiliate program on Envato (Themeforest) then connect your old Envato affiliate account to new Envato affiliate account on Impact Radius. All steps are necessary for both old and new Envato affiliate marketers. 1. Register your application on Impact Radius here. 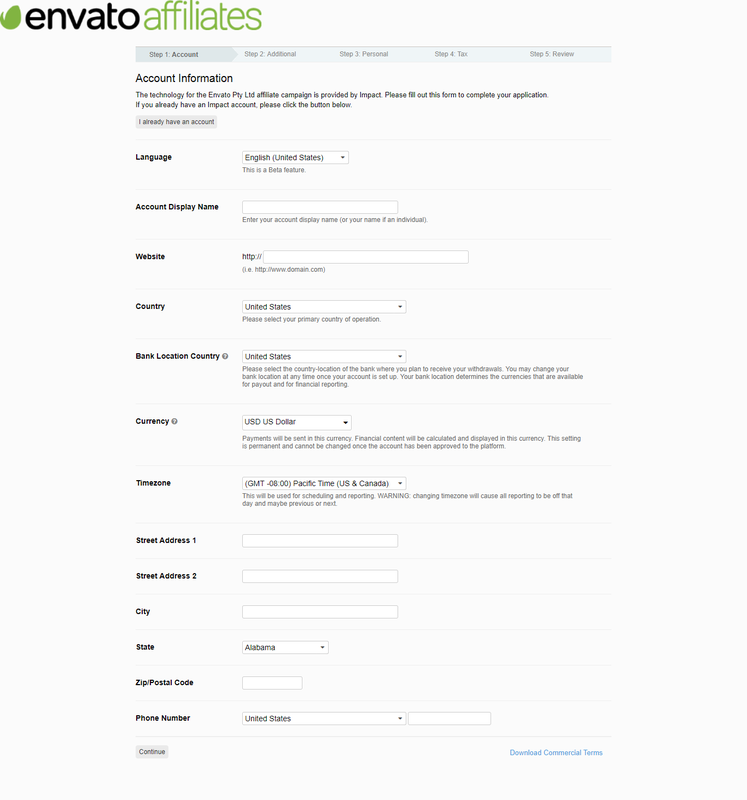 Please, fill up the affiliate form accurately to use easy 5 steps. Envato team will review your application and will get back to you as soon as possible. Note: But if you already have an impact radius account then ignore this step and jump to the second step. Click ‘sign in’, this will automatically create your application to the new Market affiliate program. How to Connect your Envato account (legacy) on Impact Radius? Once approved to the program, in order to continue earning on your legacy links (?ref=username) you will need to ‘link’ your current Envato Market (legacy) and Impact account. Once linked, earnings on legacy links will only be displayed to you on your Impact account. Please follow these steps in order. Can’t find your Media Partner ID? 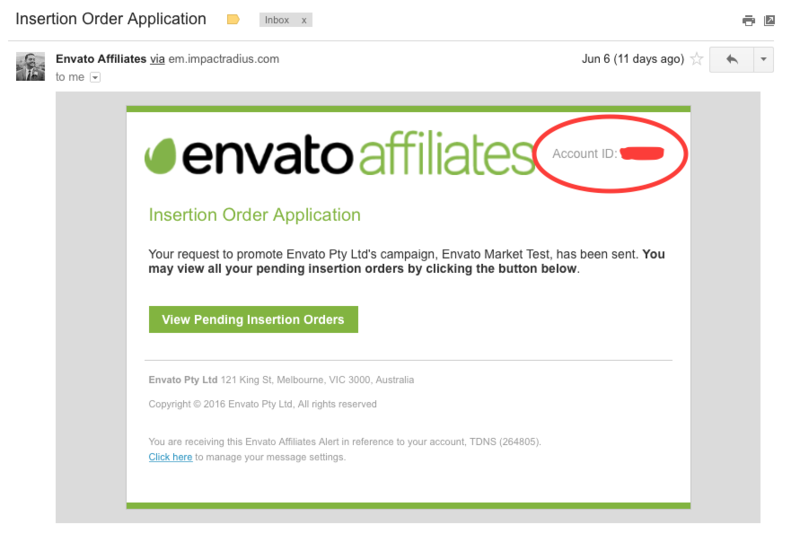 After applying for the Envato program, you will receive an email with the subject line: “Insertion Order Application”. You’re Media Partner ID is to the right of the Envato Affiliates logo Account ID. See below. Can I use the same Radius account to sign up on both Market and Elements? – Yes. if you want to be on both programs, please get in touch with the affiliate team for further assistance or refer to this section of the doc. Can I use Paypal as a withdrawal option on Radius? – Yes, though this will depend on the country of registration – read more. What is the Legacy Account? – The legacy account is your Envato account.